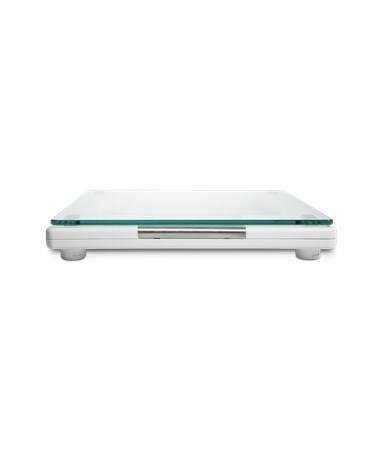 Seca Aura 807 Digital Floor Scale with Glass Platform delivers a perfect combination of sophisticated design and excellent performance. Frame-like stylistics of the Scale construction gives it a truly distinctive look while such intelligent features as a Step-Off function ensure an absolutely care-free user experience. 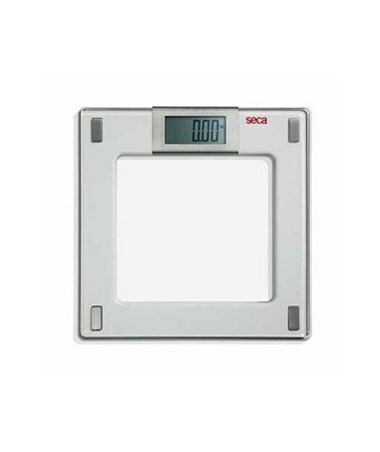 The 807 Digital Floor Scale is optimized for the use in a variety of applications from home settings to hospital floors. It provides a generous weight capacity of 330 lbs/ 150 kg with a truly fine graduation of 0.2 lbs/ 100 g. The given accuracy allows monitoring even the slight changes in weight with excellent precision. The outstanding Step-Off function makes the unit navigation completely effortless. Even when the Scale is switched off, all you need to do in order to acquire weight readings is step on a scale and weight for the “Step-off” instruction. As you step off to the side, the weight readings appear on a digital screen in large, very easy-to-read figures that can be well seen from the standing position. In addition, the Scale comprises a really useful Auto-Hold function that freezes the readings displayed on the screen for the user to take all the time he needs to asses and record the measurement results. 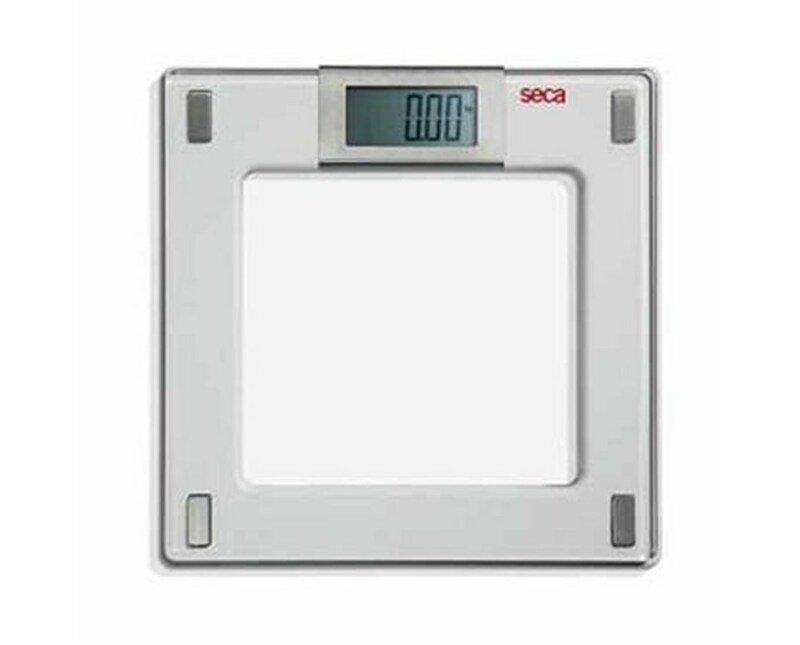 The Scale operates on 4 AAA batteries that gives the user extra freedom of unit usage. For extra flexibility, the 807 Scale offers a choice of kg, lbs or sts as measurement unit. A conveniently located trigger helps make the desired setting. Even at the first look the 807 Scale is gleaming the high-quality materials and a state-of-art design. A high-quality safety glass weighing platform is assembled on the top of a super flat base of high-quality thermoplastic and four elegant load cells of brushed stainless steel. The Scale construction is not only sophisticated, but extremely durable and lightweight. The overall unit weight is only 4.4 lbs/ 2.0 kg that ensures absolute ease of transportation. Stable Scale placement is vital for the acquisition of accurate weight readings. In order to ensure the required stability along with flexibility of placement in home settings, the Scale comes in a set with 4 extension feet for use on carpets. To purchase 807 Floor Scale simply click “Add to Cart” and complete your online order in a few easy steps. Platform 12.2" x 1.5" x 12.2"